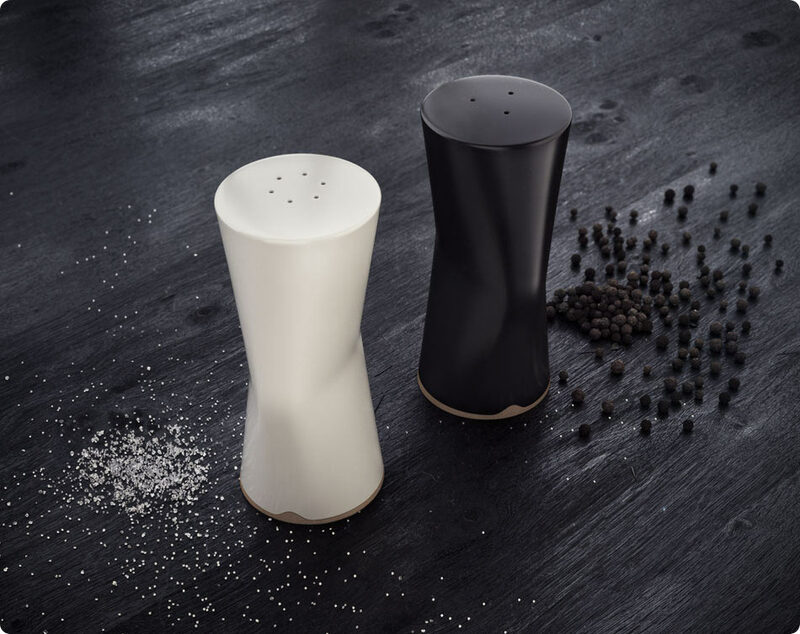 Task: to come up with yet another design for salt and pepper shakers. 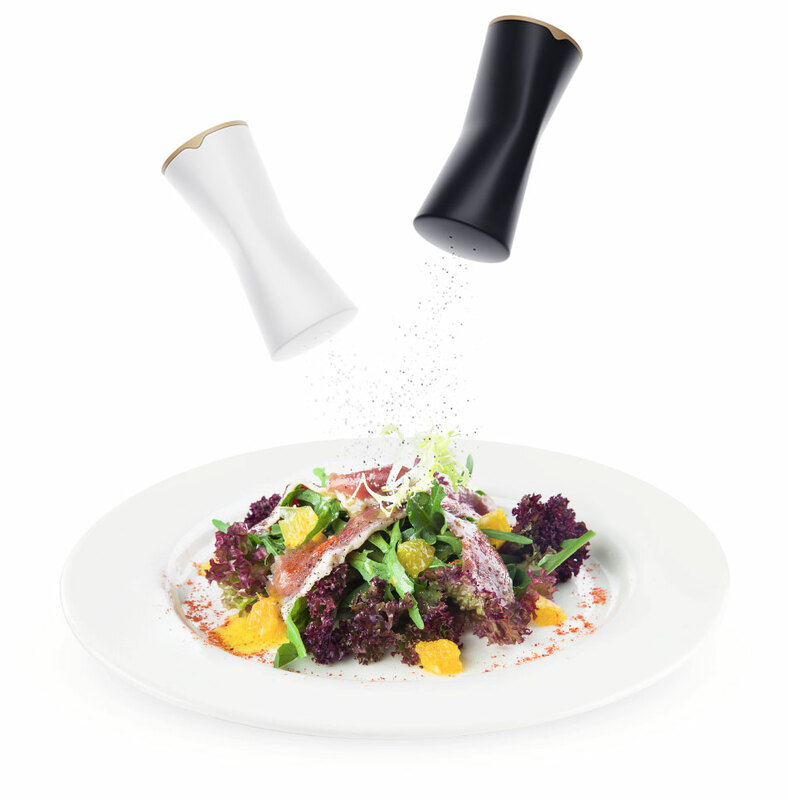 Solonkus-6 salt and pepper shakers provide an elegant and beautiful way to keep spices on the dining table. The shape fits in hand perfectly. 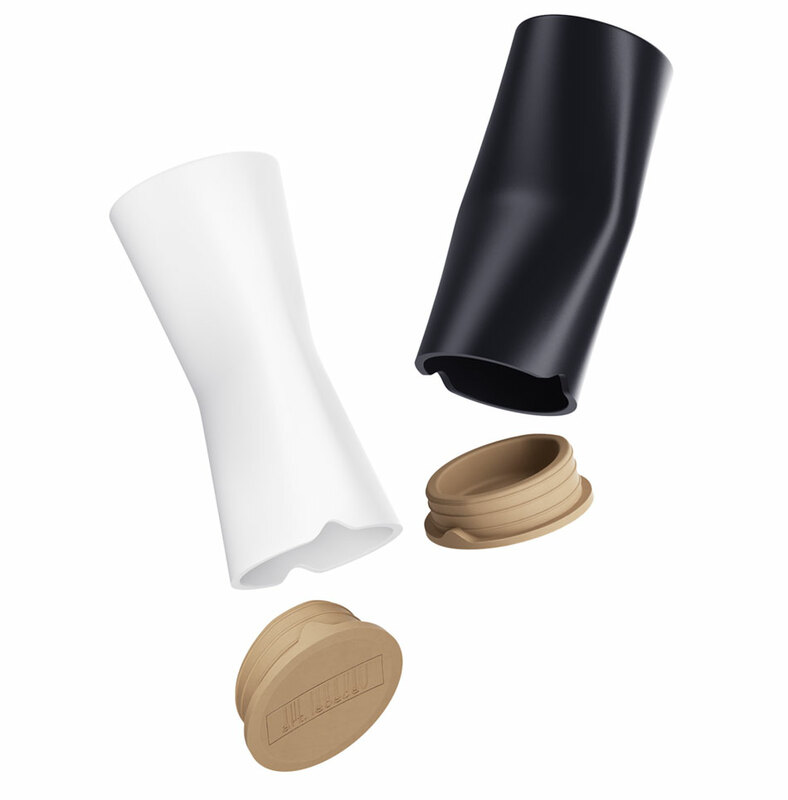 The shakers are made of ceramics with silicone plugs at the bottom. 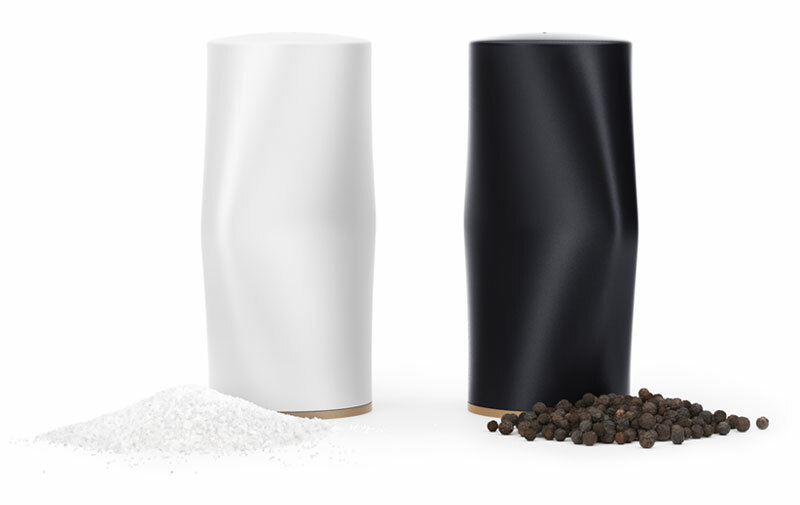 The laconic shape and universal color scheme make the Solonkus-6 shakers welcome on any kitchen.